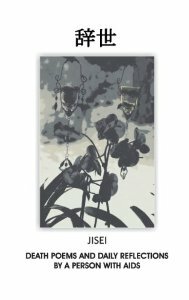 Essays about “Jisei”, my new poetry book. AIDS has changed the world in more ways than we may possibly know. We will never fully comprehend the impact of losing so many people taken by this disease. Their contributions could have altered the face of humanity, the world of art and literature, the rearing of future leaders, the impact on communities, and the hearts of countless individuals. And this is all looking at the impact of AIDS in a broad perspective. It is a disease that, regardless of our own personal admissions, affects us all. However, behind the public fray of communal loss, social change and medical advances, lies the experience of the individual who must still awaken each day with the acknowledgment that they carry inside of them an evident ticking time bomb. No different from the rest of us who live with our own mortality, but distinct in that their clock has a name. That name is AIDS. I’ve witnessed firsthand Adam’s untouchable growth and strength in the face of his most difficult challenges. This, coupled with his incredible accomplishments and activism, I can say that AIDS, in many ways, has proven to be the thing that Adam Donaldson Powell has turned into a much needed dose of life, deep spiritual awakening, a search for the purpose of human behavior, and the fuel for profound creativity. JISEI—Death Poems and daily reflections by a person with AIDS is a perfect example of what kind of spirit, truth, awareness and bravery can emerge in the face of those living with AIDS. JISEI is a provocative look into Adam’s perspective on the past, the present, the hereafter and the day-to-day task of simply waking … never truly being alone and free from AIDS. His insight into life is profound and moving—sometimes biting—ironic—witty—and brave. As the dates progress towards his twentieth anniversary with AIDS, the virus becomes a life force that brings incredible things out in him rather than being this entity that does things to him. Yes, there are passing moments in some of the poems where the virus reminds him of his mortality—but even then he fights it with something as simple as a daily routine, a question or even a grin. While reading JISEI, I started to see the virus no longer hiding in his cells but coming to life, dancing daily around his thoughts, testing his societal armor, and, in the end, making a soul contract with him. Through his twentieth-year reflection upon living with the virus, he shines. As the reader digs deeper into his words, they will see that, through this work, the reality of living with AIDS gives him the strength and power to accept what has been, work with what is, and face tomorrow and the hereafter as if the dialogue is perpetual—an eternal lesson. JISEI draws on moments in time—fleeting but life changing. They are “notes to self”, messages to others, and observations on his own personal growth in a field of human stagnation. Adam captures the inevitable and taboo topic of accepting his own death and seems to whimsically waltz with the virus until there is a final acceptance of love and gratitude for what he has learned from living with AIDS for twenty years. Other pieces reflect on events before his diagnosis with the virus acting as a vehicle to add vibrant color to understand and see the past in a more vivid light. As a participant in the audience of Adam’s life, I read these poems with a bit of an insider’s perspective. Individuals, like “m” and other masked friends, family, lovers and acquaintances conjured up memories that I personally would have put away forever. These are experiences that could scar and leave one numbed and angry. But, Adam brings them back—if just for a few lines—to reflect on the impact that one’s life experiences can have. I wish upon the reader of JISEI, regardless of their own experience, to take a journey through these poems and come away with an understanding about how a “curse”—whatever its name—can be the very vehicle to bring one to enlightenment. May we all be so blessed as to one day open the door, allow whatever painful element to enter, and welcome it into our living rooms so that we may eventually find our way HOME. I “met” Adam in 2008. Shortly after I, myself, was diagnosed with AIDS. But that wasn’t really the reason we met. I wrote a blog on a website we both then frequented. In that blog, it wasn’t that I was “bitching and moaning” about “poor pitiful me,” I think it was because I knew this wasn’t the end, but a new beginning that I didn’t quite understand at the time, and he sensed that. He read that blog and responded to me at a time that I felt confused, truly alone, and vulnerable. 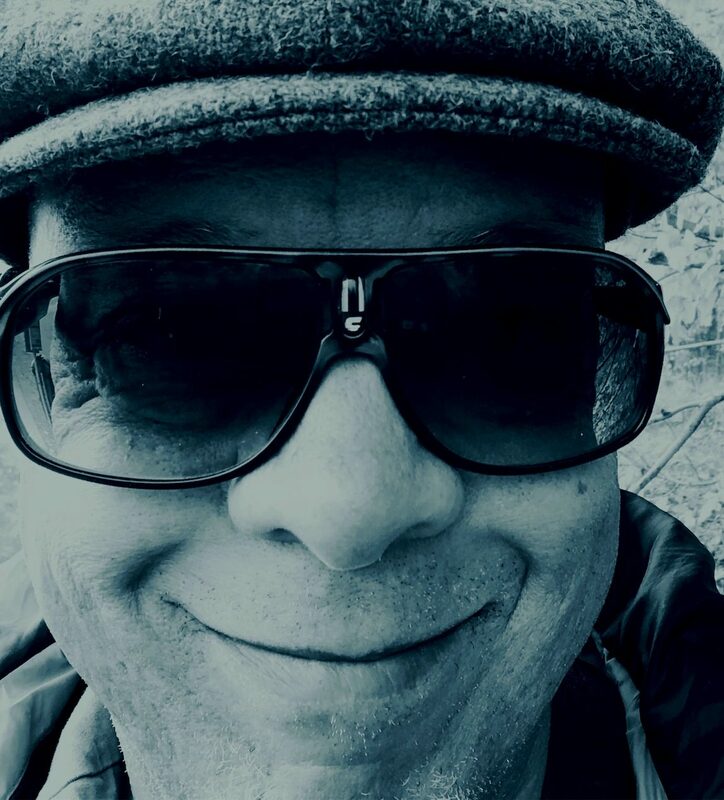 Adam has an insight into life – into humanity itself, that is truly unique from any individual I have ever met in my life or will ever meet in this life. We began to correspond or chat on an almost daily basis since that time, and continue that relationship to this day, and even co-authored a book together. I have been reading Adam’s writings, watching his photography and art evolve, and listening intently and with awe to the deep spiritual and philosophical meanings in all of his work with sheer amazement. This book of poetry, is more than just a collection of poems, on life, death, and AIDS. It is a guidebook for anyone struggling with the meaning of it all – whether it’s AIDS, or cancer or any travail that is causing one to question the meaning and purpose of why we’re on this planet. There is no one piece in this collection that I can possibly single out as the most significant. They all share a spark of true genius so that each is dependent on the meaning of another or many others. It delves into the true meaning of what is really important in life and the struggle to survive, while accepting the inevitability that we will all die, but accentuating the idea that all of this can be done with peace of mind on a spiritual plane and with dignity. This collection to me, is Adam’s masterpiece, and will surely be remembered as his legacy generations from now. For Adam … by Amitabh Mitra, South Africa. We live in galaxies; immortality is just a space. In our physical minutiae, alien visitations of viruses and vagrants seem to demean our shared living. In such galaxies we live with the living. Behind closed eyes and a closed darkness, there resides the life. The virus is a life too. Its living seems unending; its mind a succession of evolution patterns, there is no dying for it in assumptions and denials. The human and the virus in an intangible enforcement seek a place in darkness or dawn. The mind as much as it reveals the virus, cortical neurons and synapses can unclasp it. Believing is far more important even if it means believing in the sky or the earth, or just a bird in the sky. Only then does the mind takes you on a roller coaster drive; peace consumes us. The virus — an unearthly creature — thrives in physical tantrums, Thinking and running in different strata unclasps this living within the living. Have you ever leapt out falling vertically downward, have your thoughts race in time seeking people you have left behind? The virus lives in this inability, the inability to seek; it needs the earth and earth forms to navigate. If only pandemics can be defined in abstraction of a flower in a dewdrop, if each human resolves to evolve too, if we can shed the narrow revelations, the virus – an illiterate droplet – gets crushed, never to pass on. The CD4 Cell Count and the Viral Load are expressions of the unforgiving nature of defeat and distress. It’s another life proliferating… The virus cannot thrive in such unreasonable destinies. Humans living in structures give shelter to it. In living we can prolong our mind to galaxies and far beyond, where the virus can never reach. In death it cannot take the impenetrable, yet in living in stretches of combat, violence in perfect peace is possible. In an orange noon death throes of the unbelieving living within continues, diminished within a glass compartment getting tinier, its end reflects in forceful thoughts. Day dawns by itself. Nei, vi vil ikke bli til blomster, jord, aske eller luft, men vi må. Vissheten om at det en gang er slutt, at verden skal fortsette uten oss, at sol og måne, storm og stille, skal fortsette uten oss, preger hvert menneske. En dag er vi ikke der for å peke begeistret på vårens første blåveis, eller se at flekken av bar jord i hagen blir større for hver vårdag. At mørket blir overvunnet av lys. At skogsduen kom tilbake til det samme treet i år, også. Men denne umulige tanken, at vi eller våre nærmeste skal bli borte for alltid, skyver vi fra oss. Vi lever nå, og døden er fjern de fleste av livets dager. Men tiden bærer oss mot det store mørket, eller det store lyset. Det mysteriet som ingen levende kjenner. Og plutselig kan vi ikke flykte lenger. Dødsengelen stopper veien videre. Hit, men ikke lenger. Da hjelper ikke jordisk gods eller anseelse. Det eneste vi har å falle tilbake på, og det eneste som kan fylle noe av tomrommet vi etterlater, er det Adam Donaldson Powell kaller: ”the magic that each of us creates in our personal and collective transformations”. Og det er dette Adam skriver om i Dødsdiktene sine: Den magien som virker i den langsomme dødsprosessen påvei mot Dødsengelen som ikke viker. De fleste av oss kjenner ikke dagen eller timen. For en AIDS-syk er avslutningen så nær, så innen rekkevidde at den nesten kan berøres hver dag. Magi er transformasjon. I Adams dikt transformeres materie til ånd, fortvilelse til kraft, sinne til humor. Over det hele spenner kreativitetens følgesvenn, motet. Mens Dødsengelen venter, kanskje bak neste sving, uttrykker han håpløsheten, men hyller også livet og kjærligheten og skåler med seg selv, den transformerte Adam, Adam av lys og ånd. I disse vidunderlige, dype og mørke diktene kan vi synke inn i oss selv og la oss treffe av lyset som gjennomstråler mørket. Adam har satt ord på den gjenkjennelige fortvilelsen over å måtte forlate livet, men han beskriver også gløden som skinner til oss fra den andre siden. Han har hevet, ja, transformert, historien om ett menneskes dødsprosess til en sang for oss alle. This book sings the beauty of life, the beauty of love and of friendship, and the beauty of the world that surrounds us. But wait, who said that praising beauty is to view life from a distance or naively? Not Adam Donaldson Powell! This poet treats the dark side of life both like a poet and a philosopher, and I would add, like a Sufi mystic. He does it splendidly, not in one but in several languages: English, French, Spanish, Norwegian, and with a sprinkling of Japanese etc. His language has a universal breadth, even if he had limited himself to a single tongue. You ought to deem yourselves lucky, for he addresses the whole world, and everyone can pick up a diamond here, a pearl there. The main theme of this book is survival, the day-to-day struggle to remain fit and to laugh at the inevitable, to treat it as just another ‘fellow’. Yes, indeed, Adam is strong, or wise enough, to be able to chat and even to joke with death, and accept him as his future partner. I have never read a book in which sickness and death are tackled with such poise and such serenity. Of course, like most of us, Adam is a sufferer and oftentimes his depressions make him want to send everything and some people to hell. Yes, in spite of his lucidity, he too is human, so very human, with his foibles and his tantrums, his nausea when confronted with the cruelty of his peers, and the murders and mass killings perpetrated around the world. Yet, what a lesson to all of us, men and women of all stripes, artists and workers, princes and … yes, even hateful dictators, for Powell cannot control the spread of his words. If you have the privilege of reading his verse, whether you are an angel or a crook, you will learn something that suits you. Oh Adam, what have you done? There are even a number of ratty presidents around the world that might benefit from your words! But enough of my prattle. Let the reader appreciate for him/herself the quality of his art and, I will repeat, the lessons to be learned when reading these poems. Qui est Adam Donaldson Powell? Ce poète rare qui parle de la beauté, de l’amour, de l’amitié, comme l’homme découvrant le monde à l’aube de l’humanité. Avec angélisme, direz-vous? Aucunement, il en parle avec la poésie du philosophe et du mystique. Il traite la maladie et la mort, non comme des ennemies, mais comme des connaissances, avec sérénité, presque avec sympathie, il va même jusqu’à causer avec elles comme l’on cause avec des passagers lors d’un voyage. Il se mets même à blaguer avec ces trublions, sachant qu’au bout du compte, il retrouvera la dernière. Mais Powell est comme nous tous, il souffre, il a ses humeurs, et parfois, il lui prend l’envie de tout balancer, sa vie et ses ennemis. Mais la poésie le rattrape, et alors, il reprend goût aux choses de la vie, et il vous les fait partager. Cela dans plusieurs langues qu’il maîtrise; l’anglais, le norvégien, l’espagnol et le français. Sa poésie est universelle, même si elle ne s’était limitée qu’à une seule de ces langues. Alors, cher lecteur, profitez de ces perles rares, qui ne pourront que vous faire du bien. ils étaient dix à peine. By Albert Russo, Paris, France. Qué puedo decir si me ha sacado las palabras, que puedo expresar si mi lengua ya no es bilingüe ni mono ni nada que pueda moverse en forma autónoma, paralizada como el último suspiro de un enfermo de Sida moribundo, de una bellísima y vital mariposa enredada en la tela de una gigantesca araña malvada, la picadura mortal de la muerte misma. Los versos de Adam siempre me han conmovido hasta el tuétano, tal vez por ser dueños de una simpleza cruda y descarnada. ¿Debería decir desnuda? Como la realidad humana en su conjunto. Acaso Adam sea la lengua con mayúsculas, el poseedor de la capacidad de decirnos de contarnos las cosas tal como son para que de verdad podamos verlas, como el esclavo de la caverna, como aquel que de verdad veía y no alucinaba ver. Adam es el esclavo líbero, el que rompió las cadenas y nos golpea con su martillo de oro las nuestras, incluso aquellas que volvemos a crear a cada momento, enfermos pero de la cabeza mientras él, enfermo del cuerpo está cada vez mejor de la lucidez mental, cada vez más cuerdo y descarnado. Su poesía es cada vez más aleteo y menos cuerpo, más alma y menos carne, más verdad y más arte hasta que llegará el momento ese sublime en que el hombre se hará poema, para siempre, en nuestra mente que ahora, tarde, podrá ver en el interior de su alma. Y él dirá ¿No te lo había dicho antes? ¿Y no me escuchaste? What can I possibly say if he has taken the words from my mouth, if my tongue is no longer bilingual or monolingual, or even anything that can move independently, paralyzed as the last gasp of a dying AIDS patient, a vital and beautiful butterfly tangled in a giant spider web, the wicked mortal sting of Death itself? Adam’s verse has always moved me to the core, perhaps for its deep, violent, raw and stark simplicity. Should I say naked? Yes, as naked as human reality on the whole. Perhaps Adam is the language in capital letters, the one who possesses the ability to tell us to tell things as they really are for us to see them, as the slave of the cave, as the one who actually saw without hallucinating. Adam is the liberated, and at the same time he is the liberator of slaves, who broke his own chains and struck our chains with his golden hammer, even those chains that we create ourselves at every moment while sick in the head, while despite his sickness in his body he finds increasing mental lucidity, and is increasingly sane and gritty. His poetry is ever more soulful and less of the flesh, more full of truth and art until the sublime moment arrives when the man forever becomes a poem in our minds that we now, and later, see in the interior of his soul. Did I not tell you this before? Why on Earth didn’t you pay attention to my words? Maria Cristina Azcona es argentina y vive en Buenos Aires. Es una Psicopedagoga y Consejera Familiar, poeta y escritora en español e inglés. Asesora editorial para numerosas revistas y diarios literarios virtuales e impresos, especialmente en Argentina e India. Directora y fundadora de Bilingual MCA Poetas por la Paz , Directora en Sudamérica para IFLAC el Foro Internacional para una Literatura y una Cultura de la Paz y Vicepresidente cofundadora de GHA La Asociación por la Armonía Global entre otras actividades y cargos honorarios. Maria Cristina Azcona is from Argentina and lives in Buenos Aires. She is an Educational Psychologist, Family counselor, poet and writer in both Spanish and English languages. Also she is editor advisor to a considerable number of international anthologies and literary journals, in both printed and electronic formats, mostly around Argentina and India. She is Bilingual MCA Poets for International Peace founder president. IFLAC (International Forum for a Literature and a Culture of Peace) South America president and Global harmony Association deputy president and co founder, among other honorary titles and activities. Previous:More excerpts from “JISEI”: my latest book of poetry.